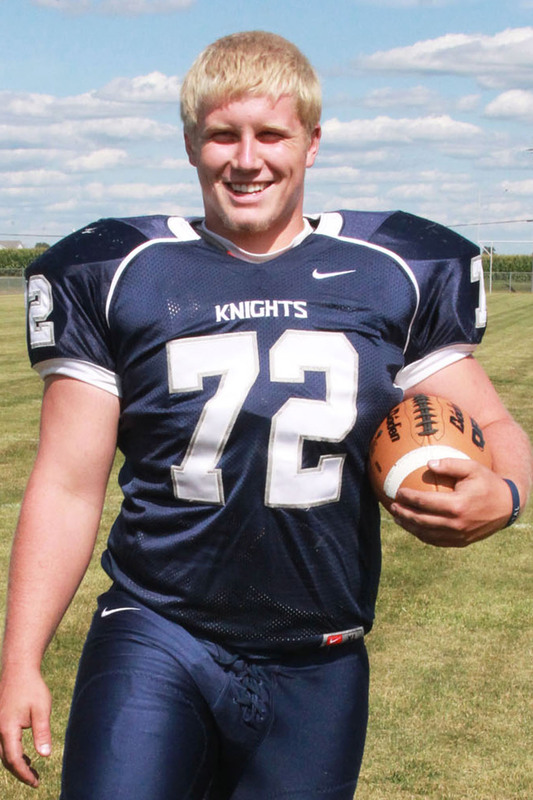 Dakota Park from Minonk was selected to play as a Lineman in the 40th Annual Illinois Coaches Association/Shrine High School All Star Football game on Saturday, July 12th, 2014 at 6:30 p.m. with pregame activities starting at 5:45 p.m. Dakota will be a member of the West team. Dakota started playing football in the (JFL) Junior Football League and continue through all 4 years of high school. The game will be played at Tucci Stadium on the campus of Illinois Wesleyan University in Bloomington, Il. All proceeds from this game will go to the Shriners Hospitals for Children in Chicago and St. Louis. Dakota was selected by a committee of coaches from the Illinois Coaches Association. His efforts during high school were recognized and the coach's selection indicates their confidence in him and his ability. This is a great honor for Dakota and we all congratulate him on being selected to Shriners All Star Team. Mark the date on your calendar, July 12th to see a great football game and to support Dakota. There are many events schedule before the game on the Saturday the 12th. Events include: Tuesday, July 8th there is a Media Day for player interviews and photos with a team practice; Wednesday, July 9th the team visit at Shriners Hospital for Children in Chicago and team practices; Thursday, July 10th there is team practice, players BBQ cook out with Shriners of Illinois and a Central Illinois Miracle League Baseball Game; Friday, July 11th there is team practice, event banquet at Memorial Center and a VIP Event (All-Star Club Members, sponsors, family and friends) at the Double Tree by Hilton and Saturday, July12th there is a parade in downtown Bloomington starting at 3:00 p.m. and the Illinois High School Shrine Game Pregame starting at 5:45 p.m. Click here for photo. The Fieldcrest Girl's track team won the 13 team Ridgeview Invite, beating Tri-Valley by 6 points. The 3,200 relay of Claire Weers, Tessa Holland, Erin Pongracz, and Gwen Lohr-Fandel set a new meet record by finishing in 10:23.28. Link to The Pantagraph results: Click here for photo. Fieldcrest 60, Heyworth 49: The Knights received 17 points from Gwen Lohr-Fandel and 14 from Kianna Klendworth in a conference win at Minonk.